Collection of material gathered by The Living Archive Milton Keynes from a variety of sources as part of their Great War Centenary Project. 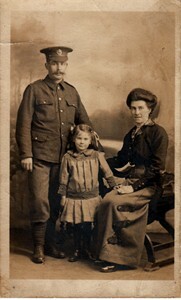 It includes photographs; letters and postcards; documents and medals. The purpose of this project was to collect the history of those who served and lived in Milton Keynes Borough 1913-1919. A book of days was produced as part of the project recording events and activities for each day of the year at international, national and local level. A docu-drama, website and exhibitions were also produced. 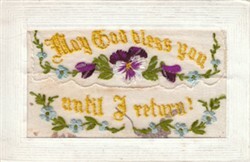 Collection of items relating to Edwin Owens, including photographs, embroidered postcards, medals and memoranda. 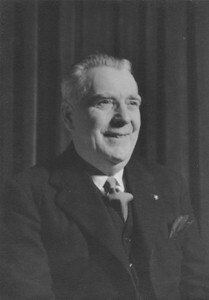 Collection of material relating to Albert Mander. 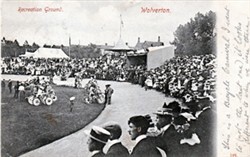 This consists of postcards from and to Albert Mander, photographs of Albert Mander and family, memorial plaque dedicated to Albert Mander, Roll of honour documentation including Albert Mander’s information, bibles belonging to Albert Mander, drawings by Albert Mander. 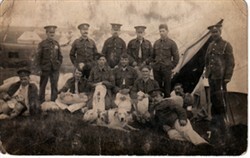 Personal collection relating to Private Samuel Williams. 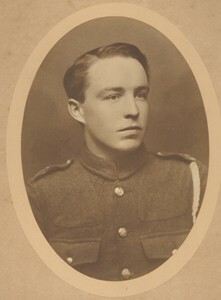 He served with the 33. 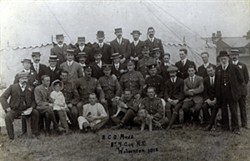 Field Ambulance 11. 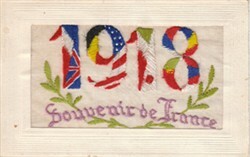 Division during World War One. 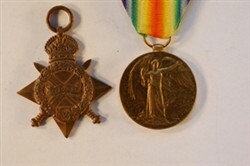 The collection includes military forms and documents; photographs, letters and postcards; his medals and memorial plaque and an oral history recording of his memories of service. Miscellaneous collection relating to the First World War in Wolverton and Stony Stratford.